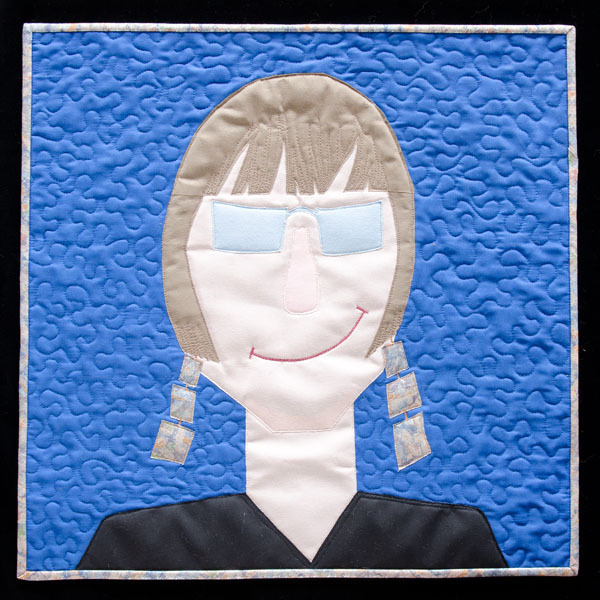 The small quilt for this weeks them ‘Self Portrait’ is below the photo. This is the last post for my year of ‘A Quilters’ Project 52′ and possibly the hardest. I hate being in front of the camera, but now it is all finished and I have a sense of achievement, 52 small quilts and 12 products to show for the 52 weeks of effort. 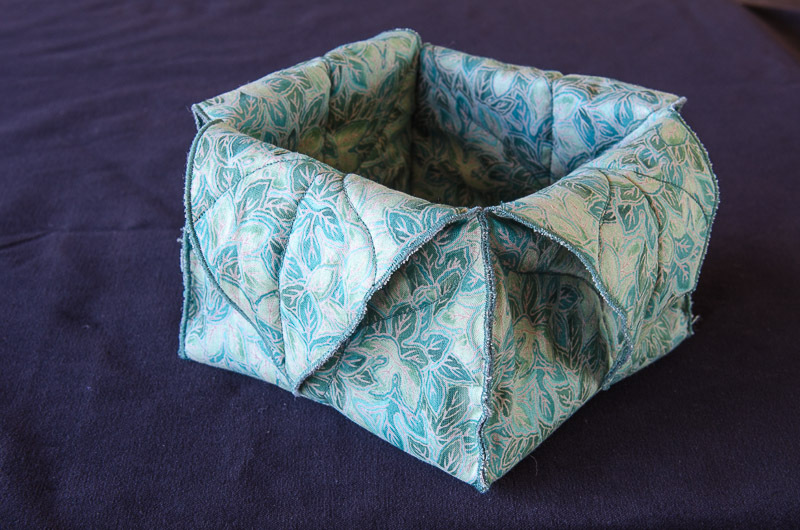 The product for this months A Quilters’ Project 52 is a container made from leaf shapes. The themes for this month were – Tools (Dec 6); Feet (Dec 13); Wood (Dec 20) and Patterns In Nature (Dec 27). I chose “Patterns in Nature” mainly because I had already decided to make a box/container for this month and the leaf shapes were the easiest to work with to make that a reality. 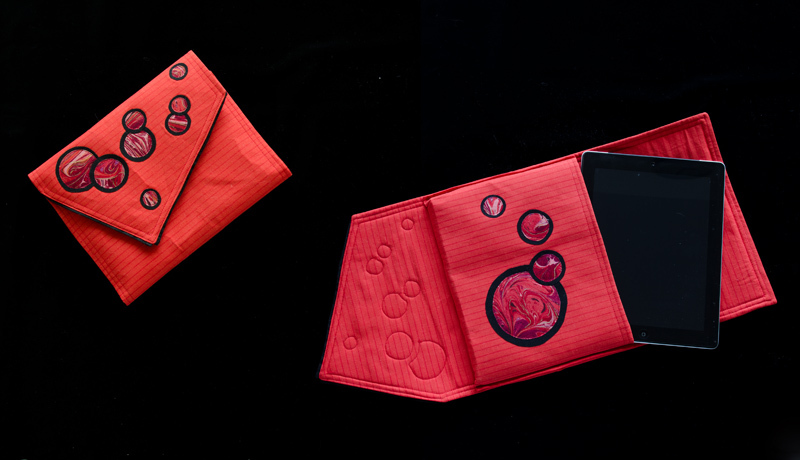 This is my last Product of the 12 month venture into A Quilters’ Project 52 – Product. It has been challenging and fun but I am pleased to have completed it. Now for the last little quilt of the Quilters’ Project 52 next week as I started the year on the second week of January 2013. I’ve just looked, ugggh! it’s a ‘Self Portrait’. 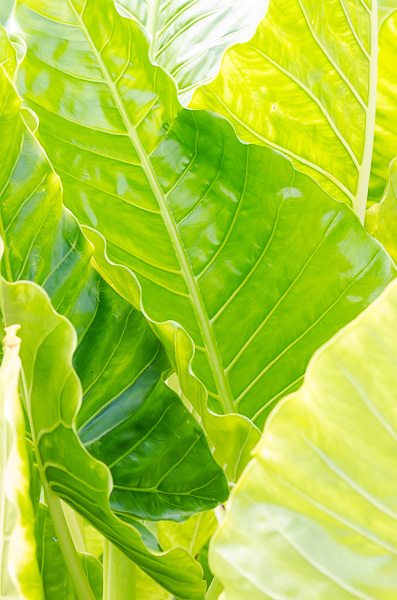 The quilt for this weeks theme ‘Patterns In Nature’ is below the photo. 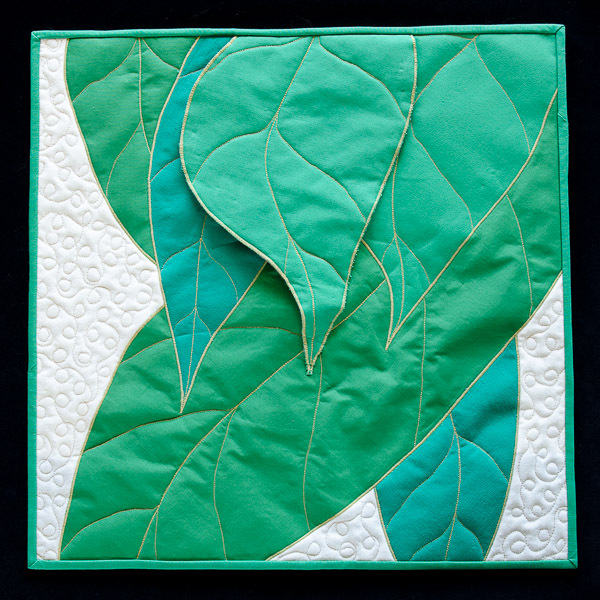 Hard to chose which pattern in nature to use, in the end I went with these huge leaves with their distinctive ribbing and which relate to the leaf theme I used in the little quilt below. I threw in a 3D leaf on this little quilt just for something different. It’s hard to believe next week will be the last of my Quilters’ Project 52 and that I’ve actually made a quilt a week for a whole year. What will I do with all the spare time next year???? 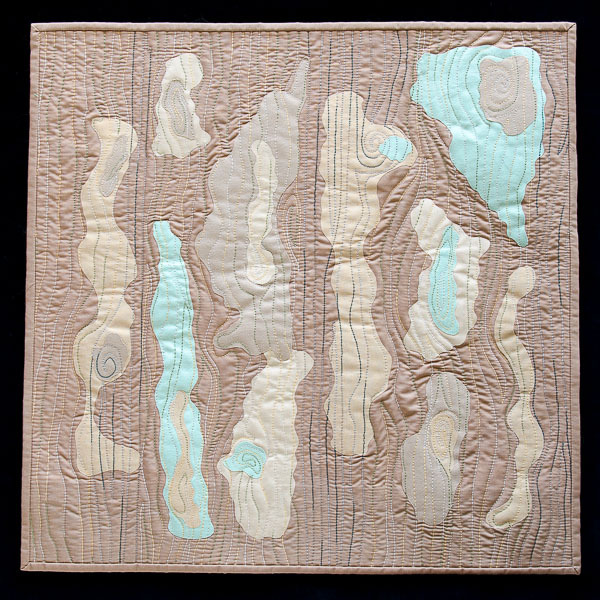 The Quilt for this Fridays theme ‘Wood’ is below the photo. My neighbours have an old wooden dray up near their mailbox which was perfect for this weeks Project 52. 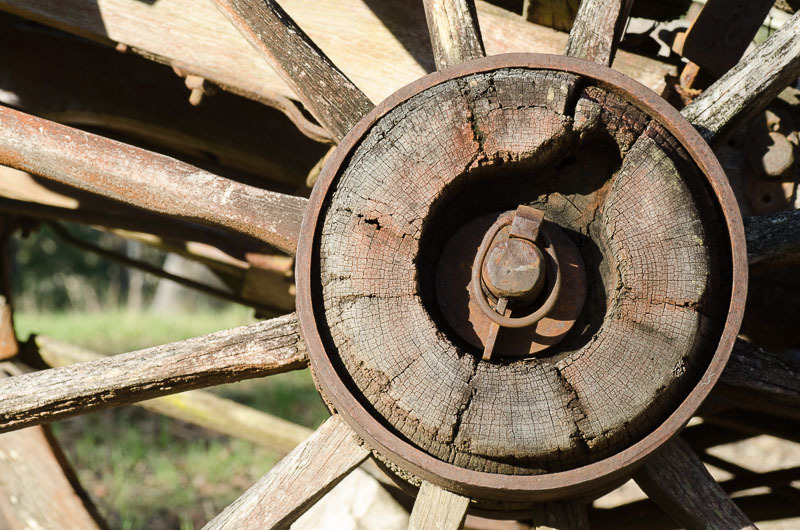 I’ve never really studied a wooden wheel before and found out how much of a work of art they are, with the skill of a carpenter and the eye of a mathematician all rolled into one. 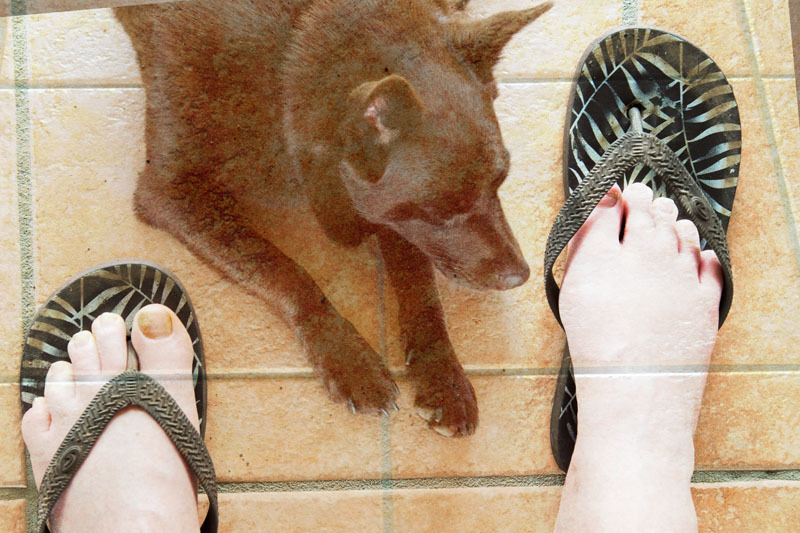 The little quilt for this Fridays’ theme “Feet” is below the photo. 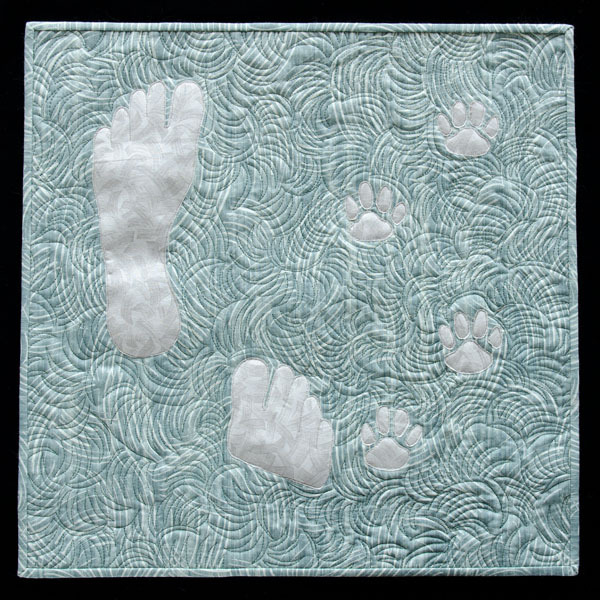 This little quilt on the theme for this week ‘Feet’ has Flair and I walking across the grass which is why I had to combine images for the photo. The quilt for this Fridays theme ‘Tools’ is below the photo. 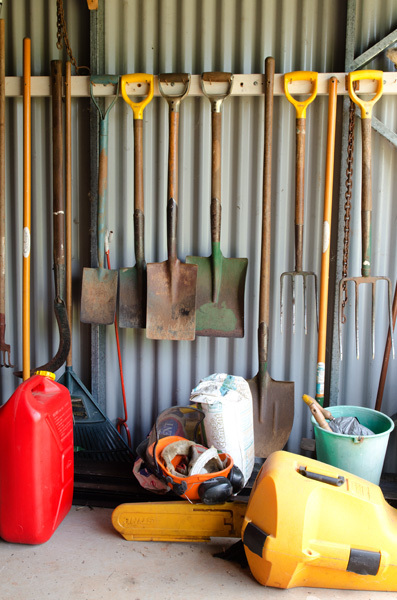 Inside the shed the tools hang handy with other needed stuff below, sometimes not quite so neat as this, and although the camera cannot lie, you cannot see what I chose to leave out of this shot. This Friday’s little quilt uses some of the tools found in my shed, simple but covers the theme. This months product, an iPad cover, was chosen from among the five weekly themes in my ‘A Quilters Project 52’ for November, which were Circles (Nov 1); Hand/s (Nov 8); From The Ground (Nov 15); New(Nov 22) and Australian (Nov 29). I chose Circles, the very first Project 52 for November, knowing I would be called to travel to Sydney sometime this month to help mind my 15 month old grand-daughter when the new baby arrived. This I thought would give me a bit of a ‘heads up’ for actually getting the product finished on time. This is a combination of 2 photos and although I managed that, my technical knowledge doesn’t extend to getting the same colours on both images, yet! The left hand closed iPad cover is the correct colour. The quilt for this weeks Project 52 is below the photo. I struggled with a photo for this Friday’s theme of Australian. I knew what I wanted to do and knew I couldn’t take the base photo this week. 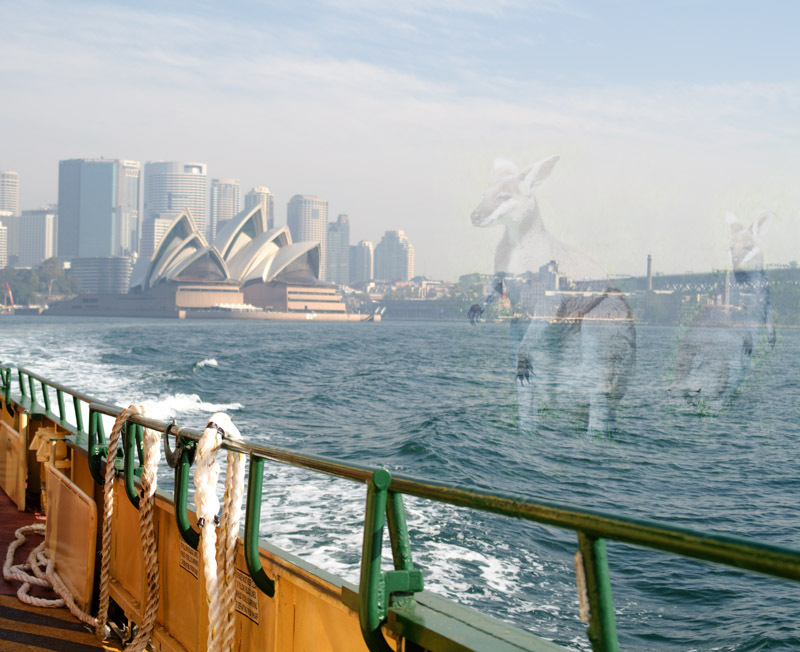 So I compromised and used an old image taken on a Sydney Harbour ferry looking at the Sydney Opera House and overlayed the more recent wallabies. Not a good image but the idea of Australian is there. The little quilt below is more what I had in mind but I don’t have the skills yet to do that. 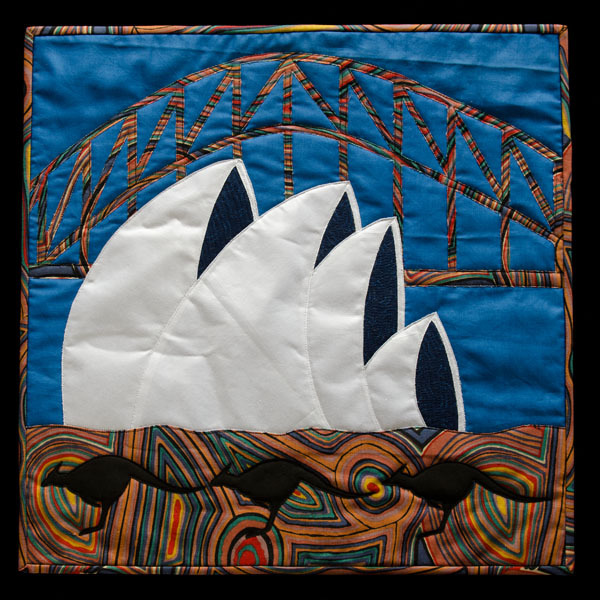 The quilt for this weeks theme ‘Australian’ has some of the most recognisable Australian icons on it. The Sydney Harbour Bridge, The Sydney Opera House and the Kangaroo. I also included an Aboriginal print fabric and an intense blue fabric for the blue skies of the inland. The quilt for this Friday’s theme ‘New’ is below the photo. This Friday’s theme of ‘new’ couldn’t have been timed better. My latest grand-daughter at less than a week old. So new to the world! Taken inside and handheld hence the high ISO, but still pleased it came out so well. This Friday’s theme ‘New’ and what could illustrate new better than all those things we associate with ‘new’ babies. 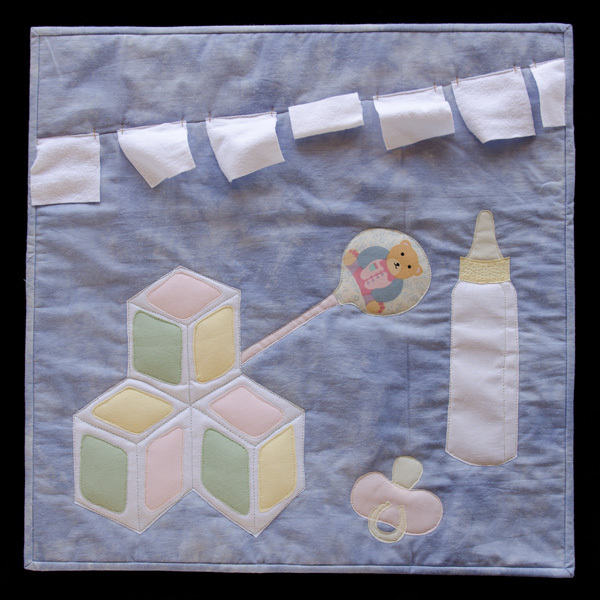 An easy way out as I can’t draw babies let alone quilt them! 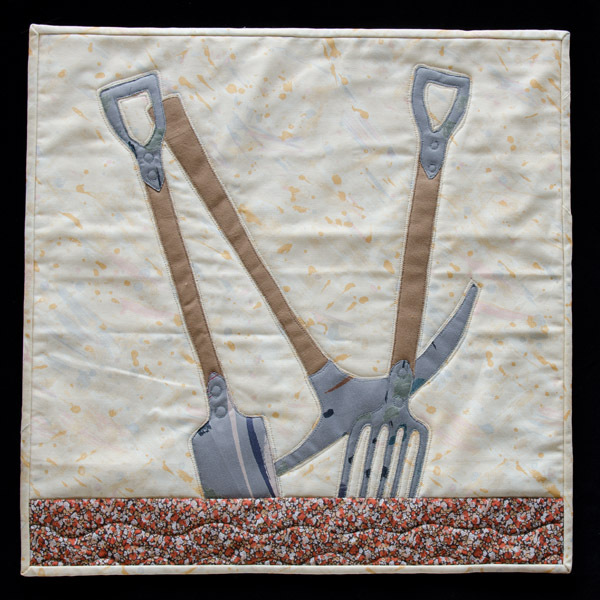 The quilt for this Friday’s theme ‘From The Ground’ is below the photo. I began by thinking this Friday’s theme ‘From The Ground’ was very similar to another theme ‘Looking Up’ until I found this cicarda shell clinging to a tree. Cicardas epitomise the Australian summer, the males shrill call rising above the human pain threshold by many decibels. The nymph emerges from underground in Oct/Nov (from the ground! 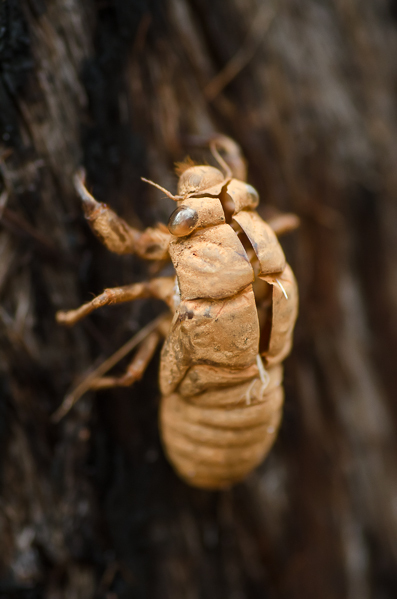 )and crawls up the nearest tree(or post or wall) to emerge from its shell as a fully formed adult insect about 7cm (3″) long. As children we used to collect them and put them on the inside of the screen door to the house until mother discovered what we were doing. 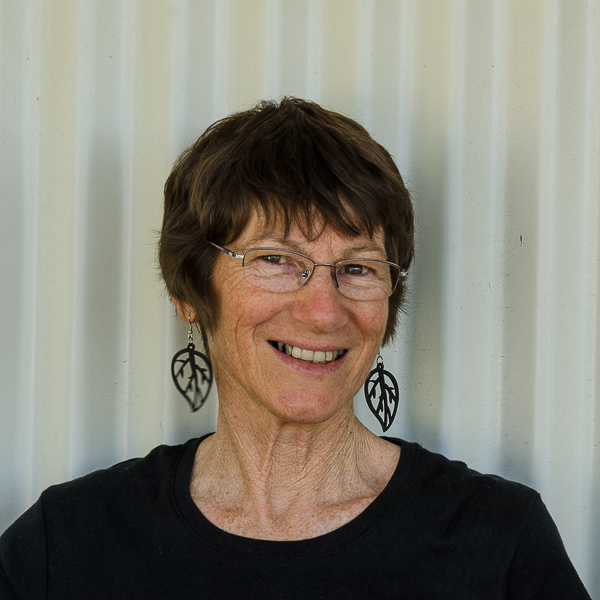 They have scientific names but we called them – green grocer, black prince, orange Monday, floury baker. 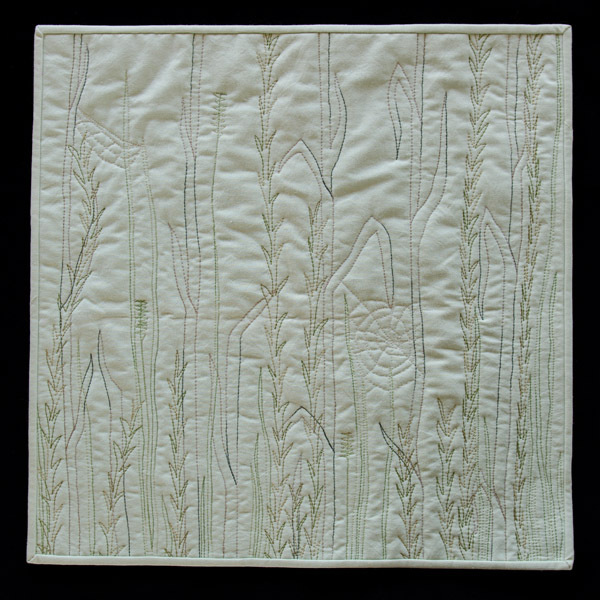 This Fridays quilt for the theme ‘From The Ground’ is supposedly a cicardas’ eye view of the grasses when it emerges from underground. It’s been a hectic couple of weeks and there is about two more 2 hours work to get this little quilt completely finished which won’t happen before I’m due to post – so here it is, a work in progress. Finally finished the little quilt and replaced the original post.